♥Dainty gold filled discs (3/8 inch, 22 gauge) are brushed for a satin finish and hand stamped with your custom initials - uppercase script font pictured in photo one. Please see the last photo for font choices. 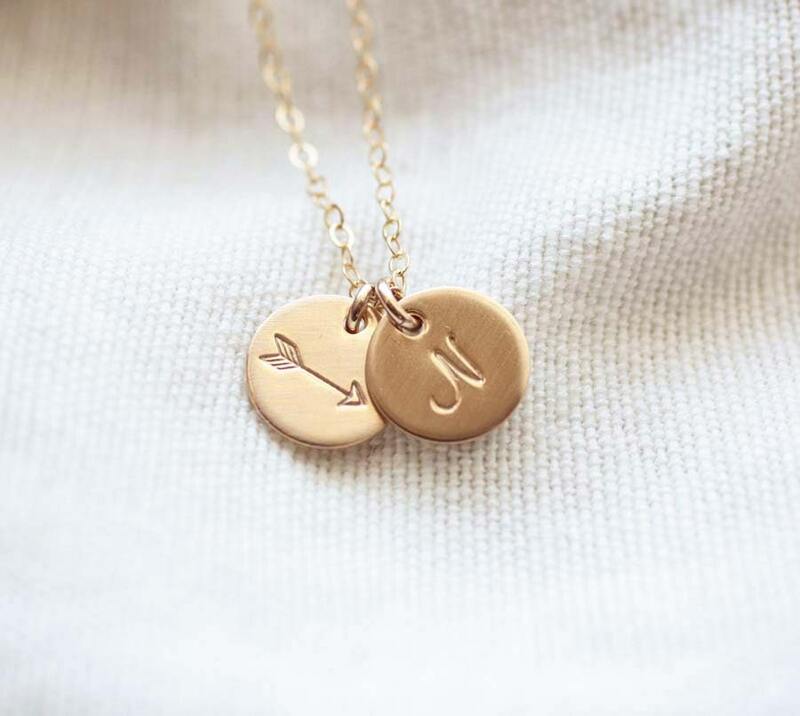 ♥Initials for this necklace come non-blackened (as shown). If you would prefer the initials blackened, please specify at checkout. Purchased this as a gift for my niece. It was perfect! I absolutely love this necklace, it was exactly what I was looking for. Came just as it is pictured and I couldn't be happier with it!